Christianity is not a passive faith. It is a dynamic, proactive way of life where God's love motivates us to ministry, to help those in need, and to serve those around us. And no one better illustrates this lifestyle than our Saviour. The Gospel of Mark shares the life, love, and ministry of Christ, who provides the ultimate example for those longing to actively serve others and God. Part of Dr. Warren W. Wiersbe's best-selling "BE" commentary series, Be Diligent has now been updated with study questions and a new introduction by Ken Baugh. A respected pastor and Bible teacher, Dr. Wiersbe encourages us to be diligent in kingdom work. You'll be inspired to pursue a lifestyle of service, deepen your ministry, and put feet to your faith. Be Diligent: Mark by Warren W. Wiersbe was published by David C Cook in December 2011 and is our 4411th best seller. 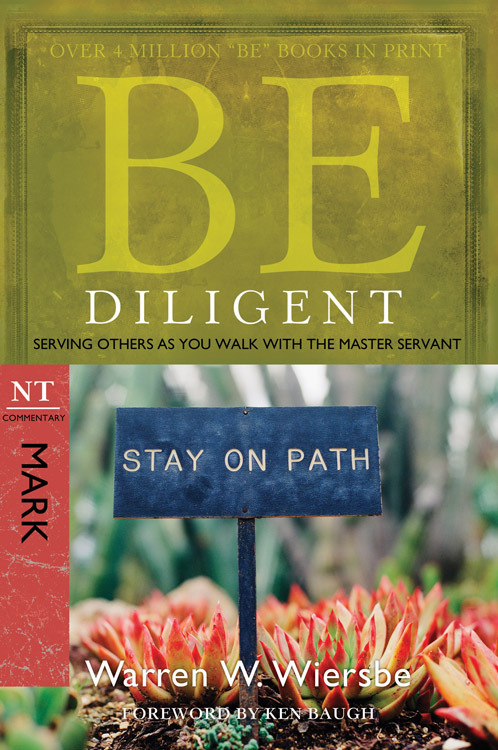 The ISBN for Be Diligent: Mark is 9781434766311. Be the first to review Be Diligent: Mark! Got a question? No problem! Just click here to ask us about Be Diligent: Mark.